Location: 5-10km east of Poiares on the N17. 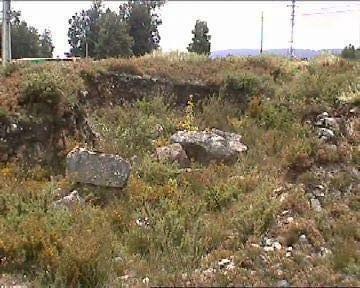 Grid Reference: 40.22˚ N, 8.26˚ W.
São Pedro Dias Dolmen: (Passage Mound). It takes a while for the original form of this structure to make sense to the eye. 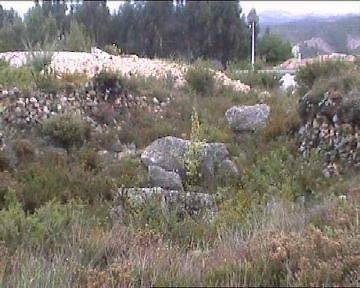 It looks to me as if this may have originally been a structure similar in design to the small passage-mound at Pinhero dos Abracos in nearby Coja. 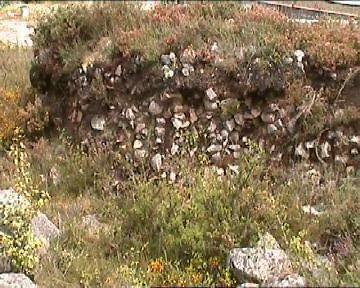 The structure has the remains of a small passage, leading to a central chamber, which was then completely covered over with a mound of small stones. 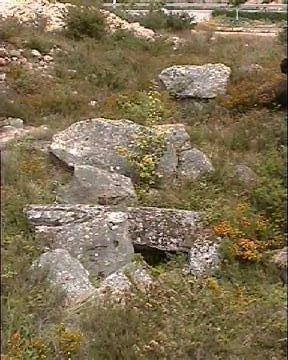 This dolmen (Anta) was known as the 'Almas da Serra' in the last century. The mound was 'excavated' in 1983, and a few remaining stones still outline the original locations of the passage (left) and chamber (right). 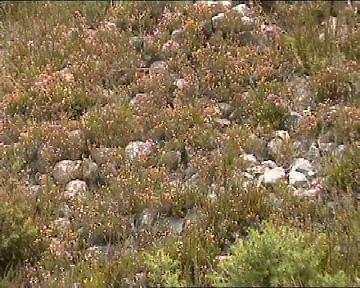 It is still possible to see the packing stones that once composed the mound that covered the structure.